With its glorious cities, such as Rome, Venice, Naples, Milan or Florence, Italy is one of the world’s most celebrated tourist destinations. 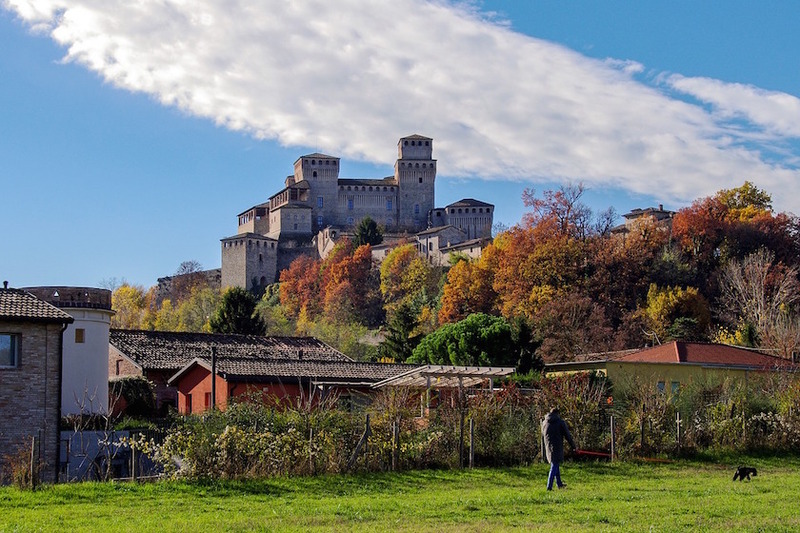 But if you want to explore Italy’s beauty off the beaten path, the Emilia-Romagna region should become part of your bucket list. Nestled in-between the provinces of the Veneto, Tuscany and Lombardy, this historic north-central region has a lot to offer. The home of Ferrari and the Scuderia Ferrari Formula One racing team is the town Maranello. If you are interested in cars and motorsport, Maranello is a must-see while visiting Emilia-Romagna. 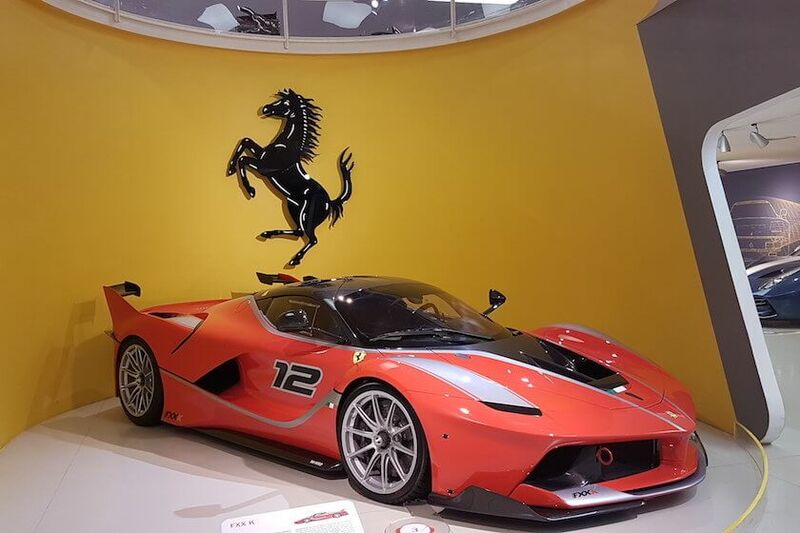 Everything is related to Ferrari in the 17,000-people town: the famous Ferrari plant, the stunning Museo Ferrari Maranello, Ferrari/themed restaurants, official Ferrari stores and so on. Even the church in Maranello supports Ferrari; every time Ferrari wins a Formula One Grand Prix a priest rings the church bells. 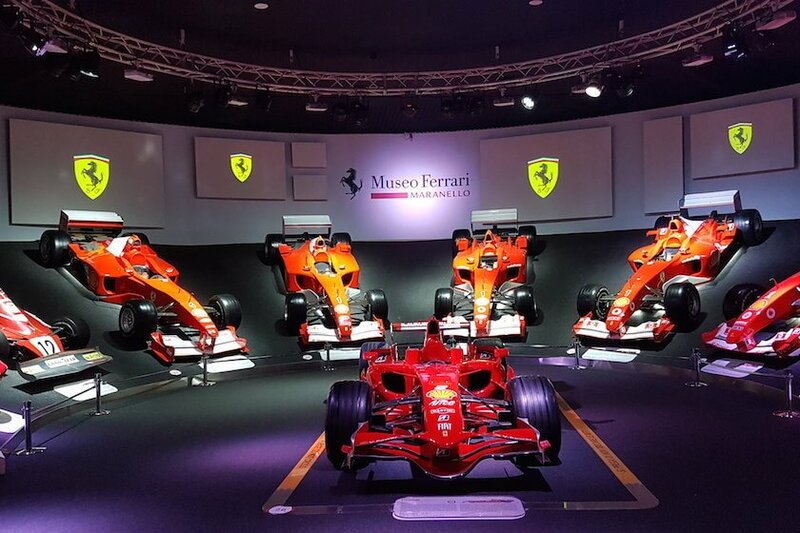 The Museo Ferrari Maranello, which opened in 1990, showcases Ferrari and Formula One cars, motors, trophies as well as the car’s historical background. The visit will take about an hour and offers exciting insights in the world of Ferrari – also for non-car enthusiasts. Original balsamic vinegars are only made in Reggio Emilia and Modena. The traditional balsamic vinegar process starts with cooking grape juice for several hours, followed by alcoholic fermentation. Afterwards the liquid is oxidized by acid bacteria before aging very slow within a barrel set of at least five different wooden casks. The casks may be of different wood types such as ash, chestnut, cherry or mulberry and the aging can take more than 25 years. The result is a thick and glossy Balsamic vinegar with a rich and complex taste. Certified traditional balsamic from the Emilia-Romagna region is labeled with the “Denominazione de Origine Protetta” (DOP or “Protected Denomination of Origin” in English) stamp. 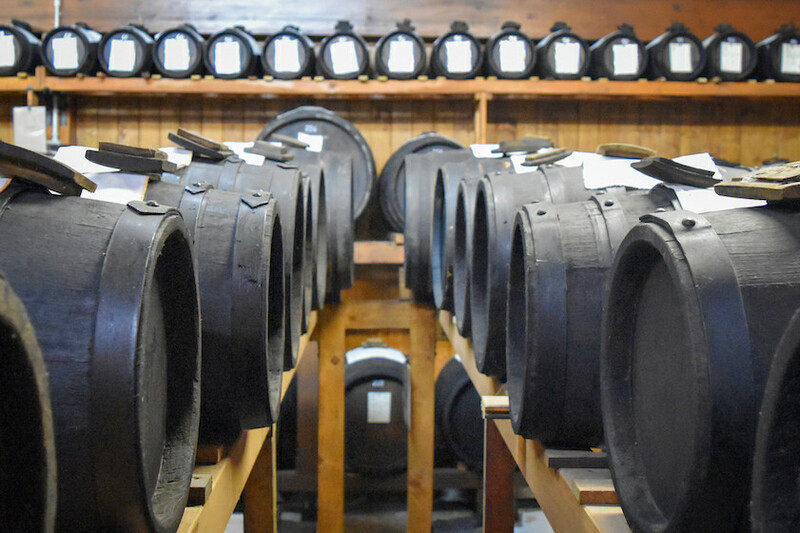 There are several balsamic productions in Reggio Emilia and Modena that offer tours of their production. One of them is Il Borgo Del Balsamico in Reggio Emilia. After being welcomed at the beautiful property the tour starts with a tasting of the different balsamic products. 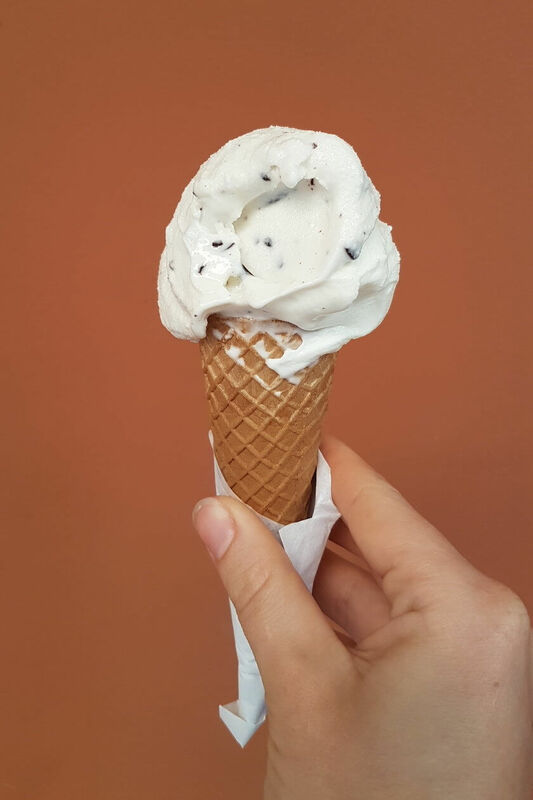 The different aromas are dazzling and some of the vinegars are so sweet that they can be used to garnish ice cream. The highlight of the tour is the visit to the attic room where the aging in the barrel happens. Like balsamic vinegar, the centuries-old Parmigiano-Reggiano is classified as DOP and can only be called Parmigiano-Reggiano if it is produced in Emilia-Romagna. And the “King of Cheeses” well deserves its name. The milk of the local dairy cows (that are only fed natural feed) is cooked, formed into wheels, salted and has to age for at least twelve months. The wheels are continuously examined by the cheesemakers. Once finished the Parmigiano-Reggiano is crumbly and hard with a creamy and nutty flavor. There are several Parmigiano-Reggiano factories which can be visited throughout Emilia-Romagna. One of them is Fattoria Rossi in Reggio Emilia, which offers free tours. 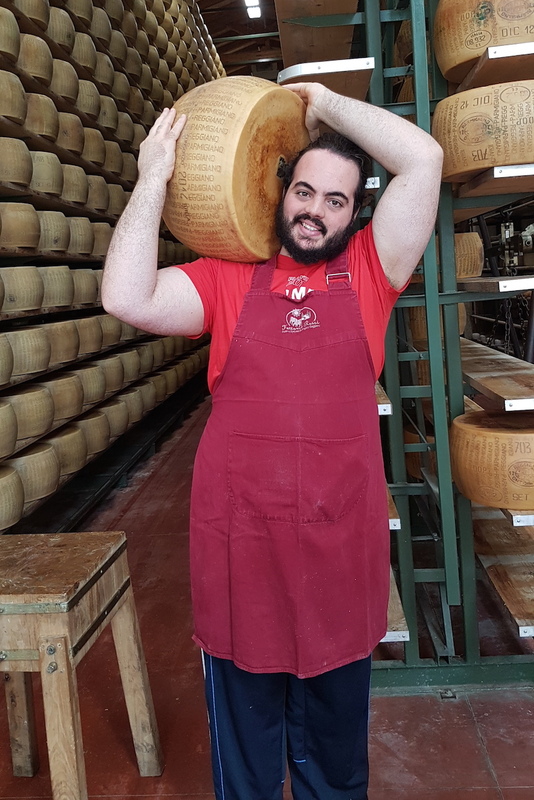 In the store, fresh Parmigiano-Reggiano and other local products like prosciutto, wine and Lambrusco can be bought. 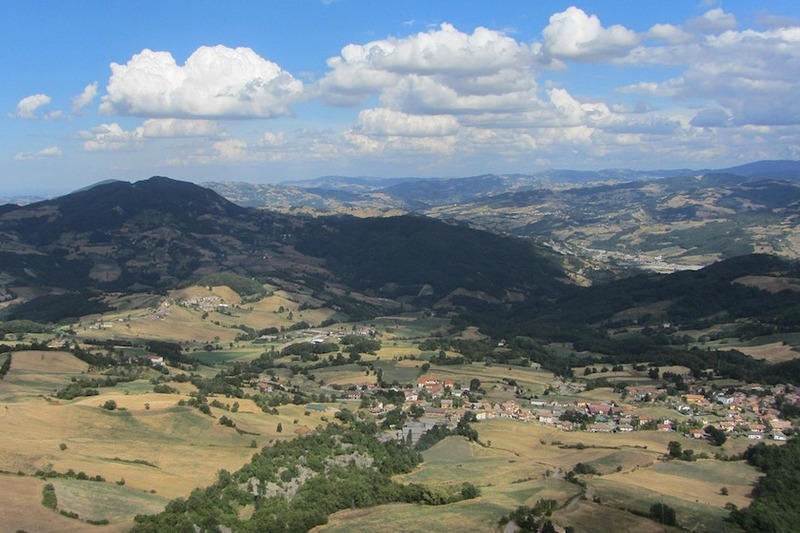 Emilia-Romagna is located between the River Po and the Apennine Mountains. Due to the water supply and the climate it is one of the most fertile and productive regions of Italy. 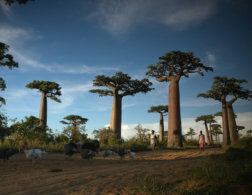 Beside grapes and diary production, different vegetables and fruits are also grown. Many of the region’s agricultural farms partially use their properties to provide accommodation for tourists – so called Agriturismi (Italian for “farm-stays”). A stay at an agriturismo might be the best way to experience Emilia-Romagna’s glorious countryside. There are different kind of agriturismi: some can be rustic and simple and others sophisticated and luxurious. Typically, rooms are decorated with lovely details and breakfast consisting of local products such as homemade jam, bread or cereals is included. 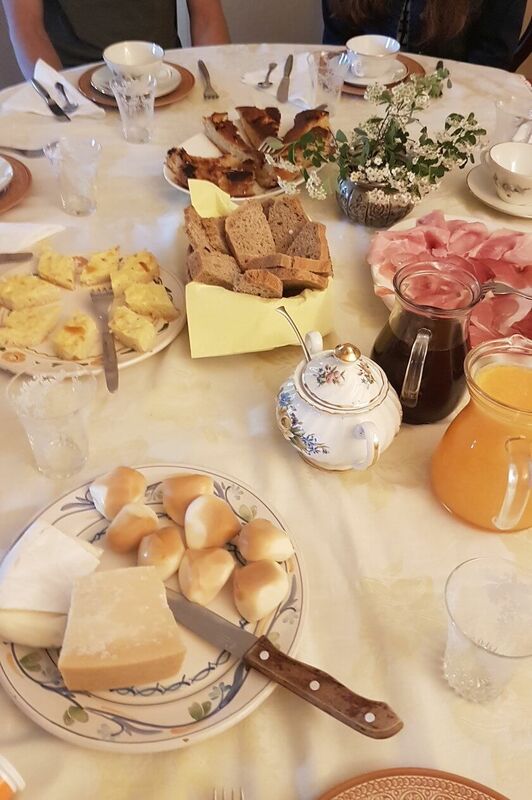 At some of the agriturismi, homemade dinner is included as well. You will feel like part of their family during and after your stay. In Emilia-Romagna, you will find many castles from different eras and styles. There are buildings from the Middle Ages to the Renaissance to be found in and around Piacenza, Ferrara, Parma and Reggio Emilia. One smaller castle can be found in Montecchio Emilia. Despite being a rather small castle it has a lot to offer. The underground exhibition is really interesting and you can visit two old rooms in the castle’s towers. The stairs inside the tower lead to the top of the tower where you have amazing views of the surroundings. The two old bells are working and are ringing every full hour. Emilia-Romagna has several beautiful towns to explore. 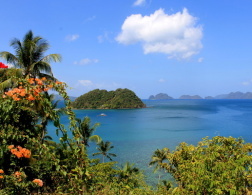 With a car, all of the towns are easily accessible and street parking or parking garages are usually available. Firstly, there is Bologna – the capital city of Emilia-Romagna. 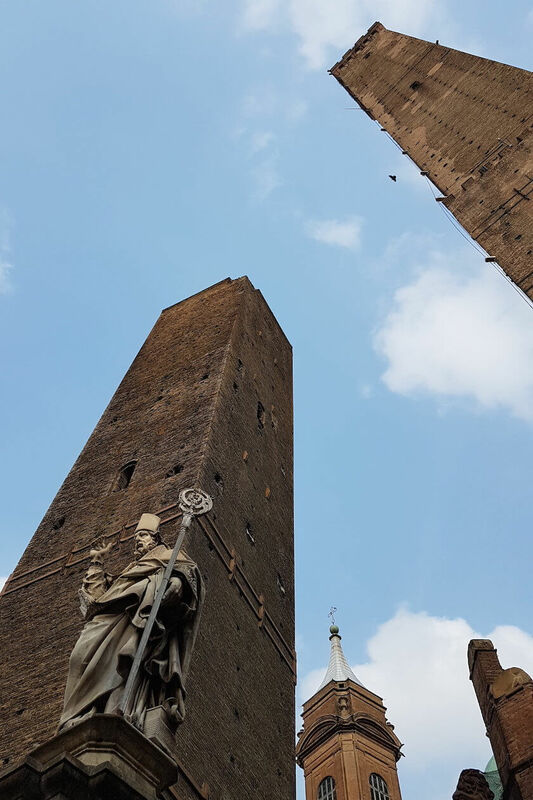 In this city’s beautiful old town you will find the famous Due Torri (Two Towers), the Fountain of Neptune, Piazza Maggiore or the Basilica of San Petronio. 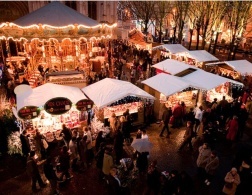 You can get lost in the stunning old town and enjoy the endless city arcades which are typical for the city. The atmosphere of the city is vibrant. There are many young people and students which study at the University of Bologna, which is the oldest university in continuous operation in Europe since its foundation in 1088. 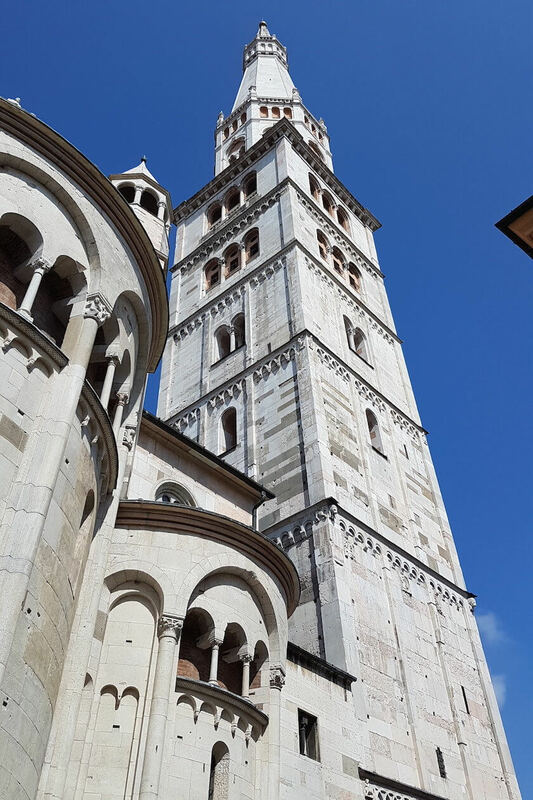 Then there is Modena, home to the impressive Modena Cathedral and the Modena Ducal Palace. Modena is known for the automotive industry with many sports car factories such as Maserati und De Tomaso being headquartered in the city. Modena is perfect for spending an afternoon strolling around in its picturesque old town. Another town worth exploring is Parma. Today famous for its prosciutto ham and architecture the history of Parma reaches back to the Bronze Age. The old town of the city is walkable and very inviting for a coffee or ice cream. The impressive Palazzo del Governatore oversees cute little shops and restaurants. Be sure to take a look into the Parma Cathedral, which has beautiful frescos. As already mentioned Balsamic vinegar, Parmigiano-Reggiano and Parma ham are famous products of Emilia-Romagna. The region also produces a lot of famous cured meats such as Mortadella and Salami. If you are a meat-lover, check out Ristorante Canossa in Reggio Emilia. Go for the “carrello”. The concept is a little like the Brazilian Churrascaria; waiters come with a little trolley with different local cooked meats and you can taste all of them. Moreover, fresh pasta in its various forms is a must-try. You will find lasagna, tortellini, tagliatelle and so on stuffed with different ingredients. Bologna especially is a culinary hotspot as one of the city’s nicknames indicates: La Grassa (meaning the fat one). 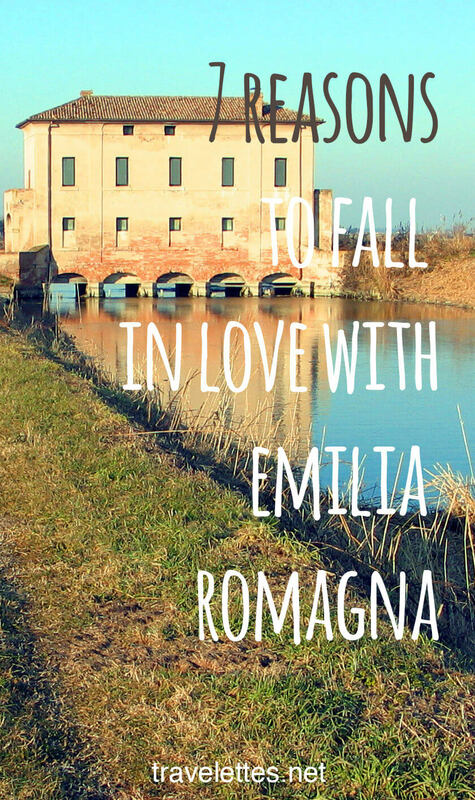 Have you ever been to Emilia-Romagna? What was your favourite experience? This is a guest post by Kathrin Delgado-Franz. 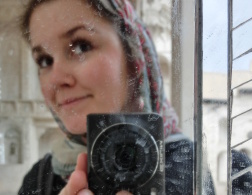 Kathrin was born and raised in a small town in Austria, but always wanted to leave her hometown to explore the world. 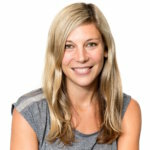 Fascinated by Chinese culture and language, she studied and worked in Shanghai and Nanjing for almost four years, went to Brazil for a few months to support a social project empowering women and moved to Chicago for some time. 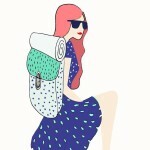 A year ago, Kathrin moved back to Vienna where she now lives and works. She loves taking pictures as well as writing and is always planning her next trip. What a unique experience! It'd be wonderful to get lost in those orange historical buildings.